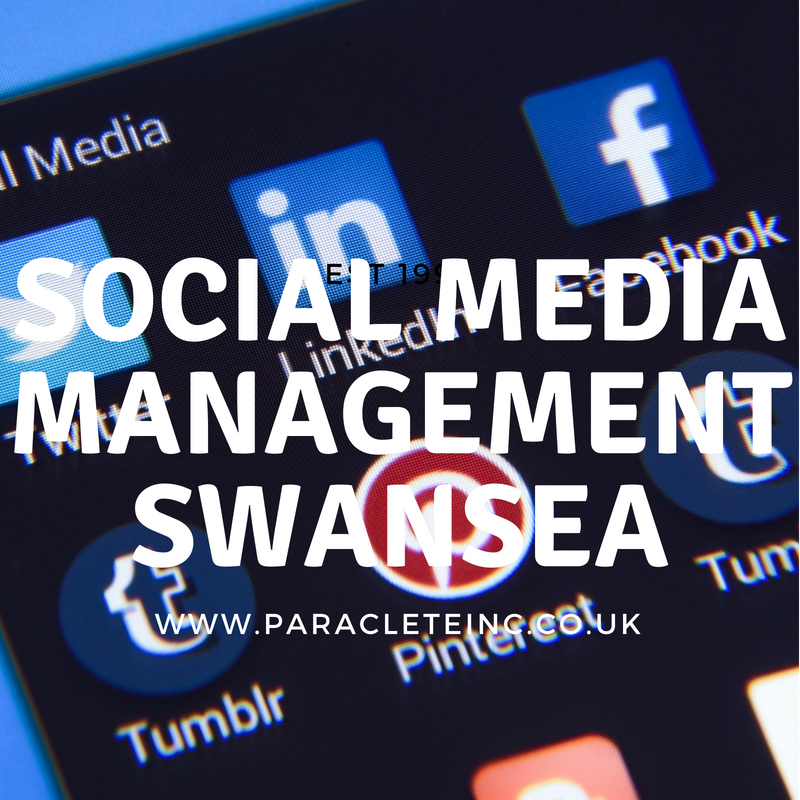 Thinking Social Media Management Swansea? Perhaps not quite Swansea? Social Media has fast become indispensable to any coherent marketing campaign. More and more people are starting their searches for services through social media, and not necessarily the traditional search engines. In the same vein, search engines are now indexing content from more and more social media platforms. Twitter has especially taken prominence. 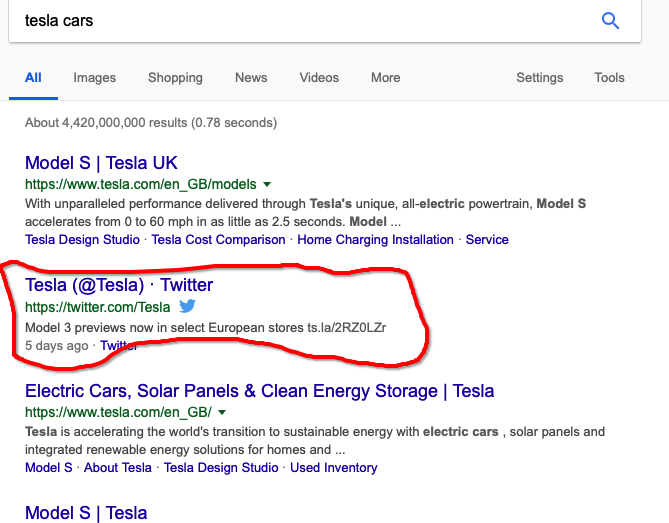 For instance, when you look up “Tesla cars”, their Twitter account in fairly prominent in search results. When you put that into context, a small business may find it easier to rank their Twitter account than they would to rank their website for competitive terms. It is not quite that simple, but I am sure you see where we are going with this. Twitter comes with that built in trust that Google has vested in them over the years. Creating social media content, updating it and engaging with connections can be a time consuming task. It is an invaluable one, nonetheless. We will sit down with you, understand your company’s goals and reflect these on social media. This will be done through the creation of relevant copy, graphics, explainers and so on. The bulk of the population in Swansea is made up of social media users. If you are not active on these platforms, you are missing out on a large branch of business that you should be tapping into. Social Media has higher engagement on average when compare to other forms of media. Through advertising, we can narrow your targeted demography to a T.
It is easy to share social media content. Your connections share with their connections. Our efforts will be tailored to suit each business’ unique situation. We can manage social media accounts on a day to day basis, while providing updates to you as and when needed/necessary. This could include creating and posting content at agreed intervals. Through rigorous testing, we can also run Facebook ad campaigns for your business. These can be done using the Facebook Pixel on a landing page on your website. We would start by understanding what the ideal avatar you are targeting looks like. This would allow us to run an effective campaign for you. Our campaigns are result oriented, so we would monitor each campaign and make amends where deemed necessary. Your business will benefit from better social media presence, as well as well run advertising campaigns. There is no reason your business shouldn’t continue to reach more and more people monthly. Growth means more money in your pockets, and a great brand awareness. Running and optimising targeted ads is also a very effective way of growing a business online. Social media has enough data and cookies to know what you have been thinking about. Think about those moments where you have thought or written about something you are looking to buy or a place you are hoping to travel to, and all of a sudden you had ads coming up about this very thing. When you harness that power, you offer a service to people who are either on the market for it or will be looking at it soon. Get your business in front of people to whom it matters. We run split tests for ads to find what best suits your business and the audience that you are looking to reach. Once the pixel has done its job, the number begin to tell the story. Decide who you want to reach, and leave the rest to us.